Amsterdam is internationally recognized for its high quality urban development. In the first half of 2016, Amsterdam will take a leading role in shaping the future of cities while hosting the EU Presidency. The key goal is to adopt a declaration creating an European Urban Agenda with a focus on air quality, housing, urban poverty and integration of refugees / migrants. 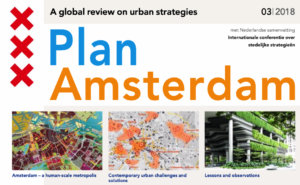 To contribute to these discussions, Sustainable Amsterdam is organizing a series of Study Programs to illustrate key urban innovations in Amsterdam and inspire their adaptation elsewhere. This program targets urbanists and city makers, and everyone else connected to livable cities. Group size will range from 5 to 15 people to maximize learning and exchange. Thursday PM: Arrival. Welcome presentation and tour of Oosterdoksleiland. Group dinner. Friday: In the morning we visit the Smart City Experience Lab and FabCity Campus. After lunch we visit Amsterdam’s Easterdocklands for a case study in urban renewal on Amsterdam’s waterfront. 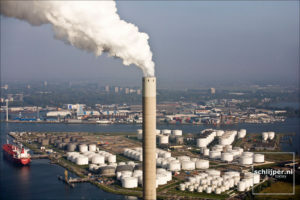 Saturday: In the morning we visit Houthaven, Amsterdam’s first climate neutral district currently under construction. In the afternoon we visit rapidly gentrifying North, including a visit De Ceuvel, Amsterdam’s clean-tech playground, and other unique projects. Sunday AM: Morning activity TBD followed by group reflections and good-byes. Cost: € 950EUR per person, based on shared room. Single room: €1,400 / Own accommodations: €550. Participants are responsible for their own transportation to and from Amsterdam. Amsterdam is a leader in sustainable mobility, and famous for its low rates of car ridership. This is the result of mobility planning that prioritizes cycling along with Transit-Oriented Development (TOD) creating vibrant neighborhoods. What can we learn from Amsterdam on how neighbourhoods can be structured such that residents are able to walk, bike and take transit for a majority of trips, reducing reliance on the private automobile? Urban transformation is the process by which disadvantaged neighborhood’s are revitalized into cleaner, safer, more attractive districts with increased levels of social cohesion. What can we learn from Amsterdam on achieving these transformations in dialogue with residents and entrepreneurs so that the entire community benefits from these developments, particularly disadvantaged groups? Responding to climate change is a key challenge for cities today with impact on virtually all aspects of urban life. 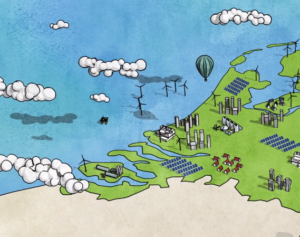 Amsterdam has a long history of adapting to climate change, and is continuing to innovate. 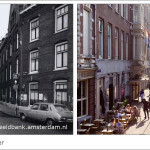 What can we learn from Amsterdam about adapting to clime change at different scales – from the individual household, to the street and the neighbourhood level? The final program will be made available in late January. To reserve a spot please fill out this Google Form. For more information email cornelia@sustainableamsterdam.com. Similar 3 day to week-long study programs can be arranged for academic and other groups interested in customized and multidisciplinary study programs during April – June 2016. Contact us for more information. 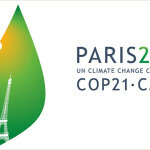 Transport Day at COP21: Time for a new vision?